The “Fraternity Taskforce”, a group of some 20 investigators, has been probing into the Paris attacks of 13 November 2015 since late last year. 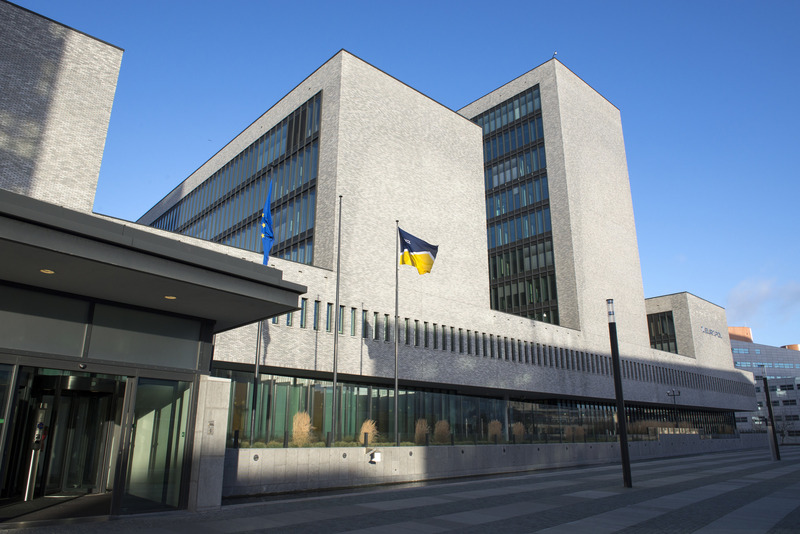 But this team, based at Europol headquarters in The Hague, has no high-tech surveillance equipment or bullet-proof vests. Its main weapon and its biggest resource is data, vast quantities of data. The European police organisation’s focus on terrorism has quickly taken off with this investigation. While Europol’s database only contained 1.5 million terrorism entries before 2015 – compared to 25 million for organised crime, for example – the “Friday 13” investigation alone already accounts for 1.1 million data entries. In isolation, each individual piece of data concerning the nine terrorists that killed 130 people and injured 413 others in Paris is almost meaningless, be it a telephone number, a flight booking, a message on a social network or a notice of arrest. But when compiled, sorted, grouped appropriately or even entered into special data-mapping, drawing or analysis software, they take on a very different meaning. Such is the complexity of the task at hand that only a trained analyst is able to make sense of the data. And even then, often only with the help of artificial intelligence. “On my own I am just a human. I remember obvious things like an unusual make of car, for example. The machine is much more efficient, it can check vehicle registrations and ownership, and establish a link between suspects, or redirect the investigation towards other profiles,” an analyst from the organisation explained. The scale of the “Friday 13” investigation may be exceptional, particularly due to the strong mobilisation of Europe’s police forces against the terrorist threat, but it borrows heavily from the practices of Europol, which relies on the sharing and processing of information. Thanks to the contribution from the pan-European police organisation, this approach appears to have been particularly effective: the organisation’s contribution enabled investigators rapidly to dig up the past of the Paris terrorists and identify their contacts. Does this mean that artificial intelligence has become an indispensable tool in the fight against terrorism? Europol is visibly becoming a high tech organisation. Access to its ultra-high security premises is controlled by blood flow recognition hand scanners – a more secure system than fingerprint recognition, as fingers can be chopped off. The large numbers of analysts currently being recruited by the agency are largely tech wizards. They constantly develop new search engines, adapt existing tools and, more prosaically, translate and enter data into the organisation’s servers. Whether these are mini files or hard drives of five terabytes (80 times the capacity of an iPhone 6), the task is immense. The main risk for the investigators is that they may become swamped in data they cannot process. This is a criticism often levelled at 21st century investigation techniques. “There is no miracle solution and certainly no software that can allow us to predict anything. Because we are dealing with a chaotic phenomenon. Of course we use spreadsheets and visualisation tools, but the investigation remains human, a question of intuition,” a French terrorism investigator specialised in social networks told EURACTIV France. This is precisely the point illustrated by a Danish documentary, broadcast in early 2016 by the channel DR. Journalists Bo Elkjaer and Mads Nilsson used data to establish links between Danish jihadists and a potential source of financing for Islamist organisations: VAT. The journalists tracked down several jihadists that had formerly run companies dedicated to VAT fraud on the carbon market, on fizzy drinks or sweets. “We had access to lots of information thanks to the Danish food agency, but also the commercial register and the carbon register. You have to look for data everywhere,” said Elkjaer, who used the software Sentinel Visualizer to identify important concentrations of data, concordances of addresses and telephone numbers, while simultaneously leading a field investigation. Social networks are another rich source of data, and one which has grown in importance thanks to their massive use by terrorists. In July 2015, at the request of the EU member states, Europol launched a body dedicated to tackling online propaganda, called the Internal Referral Unit (IRU). Its mission is to fight terrorist propaganda and extremist activities. “The media impact of jihadists has evolved a lot. There is now real production value, with particular attention paid to translation and a real communications plan,” an expert from the unit said. The IRU experts use robots to track phrases, expressions or profiles identified as “influencers”, across all platforms. If they find prohibited content, they immediately ask the platform concerned to remove it. But not before checking whether the closure of certain social media accounts or the deletion of certain information would undermine ongoing investigations in other member states. Despite this initiative, reactions on social media glorifying terrorist attacks remain common. This was true of the 13 November attacks in Paris, as well as the more recent assassination of a French police officer and his wife on 13 June. While the big internet gatekeepers like Google and Facebook cooperate with 94% of Europol’s requests, the stream of terrorist propaganda shows no sign of abating. But are the internet companies themselves in any way responsible? The father of one young woman killed at the Bataclan on 13 November 2015 thinks so. Last Friday (17 June), he filed charges against Twitter, Facebook and Google. He believes the Net giants provided the terrorists with the tools to diffuse their propaganda and recruit their followers. This legal challenge is likely once again to expose the fundamental conflict between the freedom of expression and security.